The State Security Service has said that the leader of the Shi’ite Islamic Movement, Ibrahim El-Zakzaky, is being held for his own safety. Speaking with journalists at the premises of the Federal High Court in Abuja, venue of the trial, Tuesday, counsel for the SSS, Tijjani Gazali, said Mr. El-Zakzaky was obviously in danger and the decision of the DSS to keep him in “protective custody” was in line with the duty of the DSS to “protect” every Nigerian. “He need not give his consent, but the point is he remains vulnerable and is under protective custody and the job of the DSS is to protect every Nigerian. “He is being held at his own will and for his benefit,” said Mr. Gazali. But in a swift response, counsel to Mr. El-Zakzaky, Festus Okoye, said he was not aware that his client had consented to his being detained. “They told us that he is being held at his own will, but we are yet to hear that from him. So until we consult him and he says that then we can confirm it,” Mr. Okoye said. He said that Mr. El-Zakzaky was held against his fundamental right and added that they were in court to seek an order, mandating the SSS to enforce the right of his client. The trial was scheduled to continue Tuesday, after it was adjourned in May, following the absence of the respondents to the fundamental rights suit, namely the DSS and the Nigerian Police. But at Tuesday’s sitting, Mr. Gazali asked for a further adjournment to allow him prepare a counter affidavit to the said motion by the defendant. The application was not contended by Mr. Okoye, hence the trial judge, Gabriel Kolawole adjourned till July 13, for continuation of hearing. 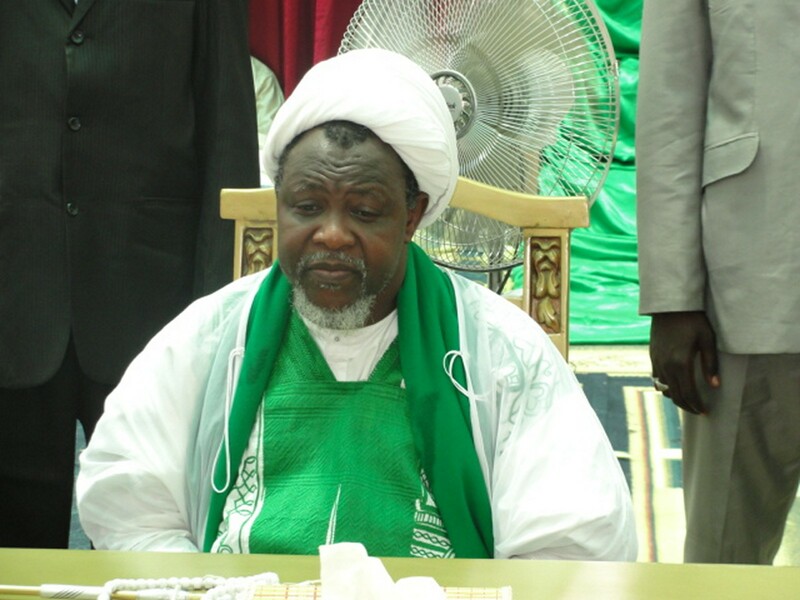 Mr. El-Zakzaky was arested in December, after a massacre of Shi’ite members by the Nigerian Army. He is asking the court to compel the respondents to pay him for damages, to the tube of N2 bilion, among other things.